The new 2015 Pennsylvania State regulation regarding background checks and legal counsel have prompted KPETS- Keystone Pet Enhanced Therapy Services to adopt a policy that will require all current and new KPETS volunteers to submit certain security clearance checks. We realize this is an inconvenience and an additional expense, but KPETS really has no other options. Click here for directions on how to apply for each check. Our hope is that these measures will help protect those we service, our working KPETS teams, as well Keystone Pet Enhanced Therapy Services as a whole. Thanks you for your understanding and compliance with this new policy. Below is the Security Clearance Policy information effective April 10, 2015. 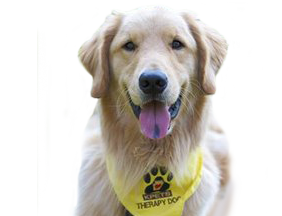 PURPOSE: Act 153 of 2014 has prompted KPETS- Keystone Pet Enhanced Therapy Services– to implement a policy that will require ALL KPETS volunteers to obtain certain clearances by certain deadlines set forth herein. SCOPE: All current and prospective volunteers must obtain the required clearances listed below. These background checks must be completed by each volunteer. – Additionally, the Federal Bureau of Investigations (FBI) criminal history clearance (cogentid.com) choosing PA and the Department of Human Services option) is required UNLESS the volunteer has lived in Pennsylvania during the entirety of at least the past 10 years AND swears or affirms in writing that s/he has not been convicted of any offense which would disqualify him/her as set forth in 23 Pa.C.S. § 6344. Each volunteer (PA Residents and Non-PA Residents) shall complete the Volunteer PA Resident Affidavit. – Additionally, the Federal Bureau of Investigations (FBI) criminal history clearance (cogentid.com using the Department of Human Services option) is required. Please note each volunteer (PA Residents and Non-PA Residents) shall complete the Volunteer PA Resident Affidavit. ** NOTE: Non-PA residents volunteering in PA are subject to all three (3) background checks UNLESS s/he serves on a provisional basis for a single period not exceeding thirty (30) days at a time when the volunteer can demonstrate s/he is in compliance with the laws of the jurisdiction where s/he is domiciled. All new volunteers will be required to complete and submit the clearances as a part of the registration process, and in no event will this be done later than 7/1/2015. Current volunteers will need to submit copies of the above required clearances prior to renewal on 9/15/2015. Clearances are valid for three years from date of issue and will need to be resubmitted as they expire.